With fall in full swing and the holidays quickly approaching (at least according to department store displays), it was obviously time to add a new palette to my collection. I love going for bold eyes this season, since I kept my summer makeup pretty neutral. The palette I’ve been reaching for the most to achieve my sultry looks has been the Crown Brush Smoke It Out palette. The Smoke It Out palette comes with 36 shadows with mostly matte and satin finishes. Most of the eyeshadows are extremely buttery soft and easy to blend. The satin finishes are my favorite to play with from this palette because they are so gosh darn pigmented. While swatching, I did notice that the matte colors tend to be powdery and sheer out, which is a bummer. However, with a great balance between neutral and bold colors, this is a great all-in-one palette to achieve any type of smokey eye. As you can see from the swatches, the mattes are the weaker colors in this palette. In my opinion the satins make up for that with their super pigmented and smooth application. My favorite color in the entire palette is the last color in row 3. This is definitely going to be traveling with me during the holidays; the palette is very thin and portable. The Smoke It Out palette regularly costs $18.95, but is on sale for $13.25 until 11/15 on the Crown Brush website! Have you tried any eyeshadows from Crown Brush? What is your favorite shadow from the Smoke It Out palette? This product was received from PR for editorial consideration. All opinions are my own. Next articleYoung Girls Ask: Am I Pretty or Ugly? Looks like a really nice palette. Very colorful and perfect for spring/summer! That is an impressive palette! I haven’t tried this palette, but for the price – i think there are enough colors I would use to justify a purchase! Definitely! I love how much variety there is and the palette is super lightweight! It’s a lovely palette. It’s hard to find a great matte palette. 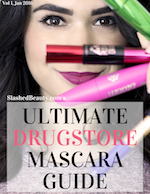 Even thebalm, stila, and UD have some misses here and there. 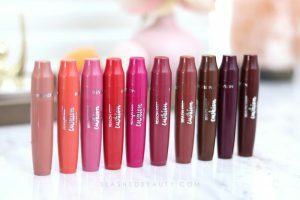 The shades look gorgeous and it’s so affordable! I have never tried anything from crown brush, I have been curious about their brushes though. This looks like a great affordable palette, I do love colorful shadows! Their brushes can be hit and miss sometimes. The synthetic brushes are amazing, as well as those from their infinity line! that’s a great deal – so sorry to hear those mattes aren’t quite so great, but the price is a good one, anyway. Yes, wet n wild mattes never disappoint me! Same here! I’m such a matte girl when it comes to eyeshadows but this palette has inspired me to play around with satin finishes! I love satin finishes, too! I just don’t like glitter or shimmer much.